Jackson, MS (February 8, 2017) – Severe weather moving across the southern United States dropped multiple tornadoes Tuesday. The Salvation Army has responded with canteens or mobile feeding units to help serve those in need as well as first responders on scene to help. In Louisiana, six parishes received damage from multiple tornadoes. Roofs where ripped off buildings, structures destroyed, trees toppled over roadways but thankfully no deaths. The New Orleans area saw the most destructive of the storms. The Salvation Army’s New Orleans Command responded to Chef Menteur Highway and Wilson Road where disaster workers began food service. 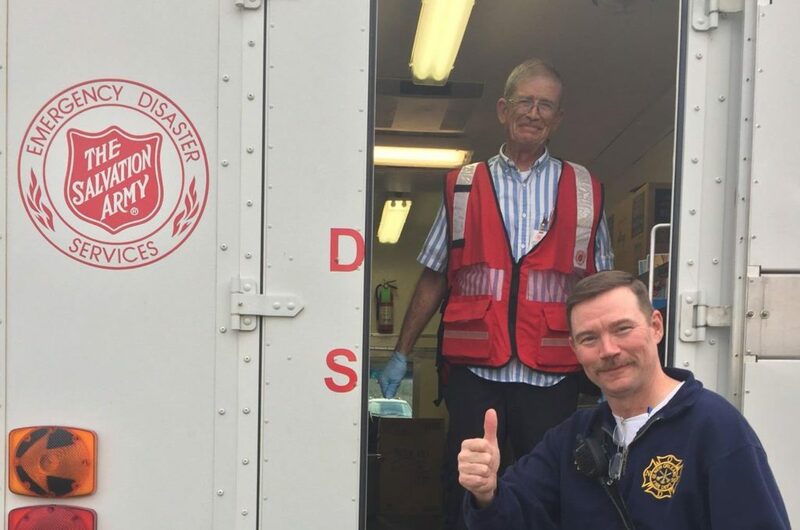 “We served 112 meals and 266 drinks from our location, and we plan to help as long as people are in need and are recovery from these storms,” said Major David Worthy, Commanding Officer, The Salvation Army, New Orleans Command.